“Better Call Saul” co-creator and “Breaking Bad” veteran Peter Gould is one of the most successful writers in Hollywood, but it wasn’t always so. In the early 2000s, he tried unsuccessfully to get HBO to make his project about the Clinton-Lewinsky saga — with shadow puppets. Listen to Gould explain the project — and offer some excellent writing advice — in our new “Shoot This Now” podcast. You can listen on Apple or right here. Gould told us that before he was hired on “Breaking Bad” — where he created criminal lawyer Saul Goodman, aka Jimmy McGill, the antihero of “Breaking Bad” spinoff “Better Call Saul” — he spent years writing projects that never got made. One of them was a Pam Grier story he also describes on the podcast. Another was the Clinton-Lewinsky story, which Gould wrote in both movie and miniseries form in the hopes that HBO would air it. The network unfortunately passed. The scandal was still all-too-fresh in people’s minds in the early 2000s, and Gould was looking for a way to illustrate certain graphic details. That’s when he hit on the idea of shadow puppets — figures placed between a light and a screen to act out the drama. Ever make a dog with your hands when your teacher turned on a film projector? Congratulations: You understand the basics of shadow puppets. Masters of the art form cut figures from paper and other materials to create characters who can walk, dance, and … do other stuff, as Gould explains. 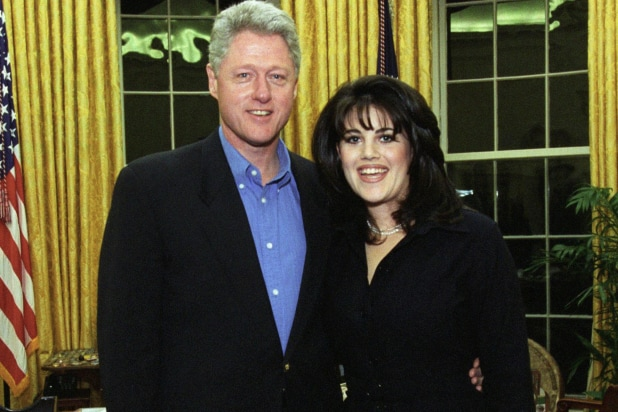 Could the Clinton-Lewinsky story still work today? We think so. Earlier this year, Ryan Murphy abandoned plans for a season of “American Crime Story” that would have focused on the star-crossed relationship between President Clinton’s relationship and White House intern Lewinsky. But interest in the case remains high: Donald Trump tried to make it an issue during the 2016 presidential campaign, when he ran against Clinton’s wife, Hillary Rodham Clinton. Gould also tells us about his interesting job interview for “Breaking Bad,” how he beats writer’s block, and what’s in store for “Better Call Saul” leads Jimmy (Bob Odenkirk) and Kim (Rhea Seehorn). Things are about to get shadowy. He's the main character in the new series, so of course we need to include Slippin' Jimmy. Goodman appeared in 43 of 62 "Breaking Bad" episodes as Walt and Jesse's criminal lawyer, with an emphasis on "criminal." Thus far through "Better Call Saul," he's still just James M. McGill, Esq., but we're getting to that whole alter-ego thing, trust us. In flash-forwards, we see that Jimmy/Saul lives long enough to become a paranoid, balding Cinnabon worker. Free icing? Could be worse. He walks! Hector -- the uncle of Tuco Salamanca -- had a wheelchair in "Breaking Bad." But the old man who was constantly ringing his bell to communicate was a real crimelord in his younger, more virile days, which "Better Call Saul" shows. In "Breaking Bad," Hector takes out Gustavo Fring (pictured) with a crazy suicide bomb, avenging the deaths of his OTHER nephews. We'll get to those guys soon. Here's one of those deep pulls that we alluded to earlier. In "Breaking Bad," obnoxious Ken inadvertently helped Walter White break bad, and his mode of transportation suffered the consequences. First, Ken stole Walt's parking space at a bank, while bragging on his bluetooth. Later, the loudmouth continued his boastful, irritating behavior. So Walt blew up his car, as chemists do. In Season 2 of "Saul," Jimmy and Kim trick Ken into buying them a ton of expensive tequila shots at a swanky bar. The stock broker with "KEN WINS" on his BMW license plates tends to lose a lot in this universe. After being teased at the end of Season 2, The Chicken Man and “Breaking Bad’s” biggest adversary shows up in the second episode of season 3. After a humorous scene where he’s cleaning up right next Jimmy eating at Los Pollos Hermanos (Saul and Gus never actually met each other in “Breaking Bad”), we see Fring is not yet the drug kingpin he is in “Breaking Bad.” But throughout the third season, we see how Mike will eventually become Gus’ fixer and get a lot more on the rivalry between Fring and the Salamancas (as fans of both shows know, it doesn’t end well for either). We also see Fring lay his eyes for the first time on the industrial laundromat that will be known to “Breaking Bad” fans as the Super Lab where Walt and Jesse cook for him. Tuco's surprise appearance in Season 1 of "Better Call Saul" set the tone for even more exciting, unspoiled villainous returns. And then legs got broken, badly, because Tuco is a complete madmen. In "Breaking Bad," the ruthless Tuco had worked his way all the way up to drug kingpin level. He, Walt and Jesse had some rough and tumble meetings before Tuco himself met his demise with a Hank Shrader bullet through the brain. OK, OK, we know -- another obvious one. But you can't make this an all-encompassing list sans Mike. Mike and Jimmy/Saul work together in both series, though their relationship remains rocky at best. Early on in "Better Call Saul," the two meet at a local courthouse, where Jimmy is a public defender and Mike works the parking lot. The boys are dangerous, bloody, all-business hitman for the Juarez drug cartel. They're sharp dressers and have ever sharper axes. Both brothers get snuffed out as a result of a classic Hank firefight during "Breaking Bad," though this one lives long enough for one last-gasp badass hospital moment. Click back to brother Leonel's slide -- don't they look similar? One difference: How they died. Marco got the top of his head blown off by Hank in that classic parking lot fight scene. Gross, but fully earned. This was a really cool cameo. A more grown-up Krazy-8 was actually the first person Walter killed in "Breaking Bad," though he hemmed and hawed over it for a while, almost freeing his violent prisoner. In "Saul," Molina comes across quite convincingly as a younger, more innocent version of himself, still new to the drug game and working at his dad's store. In a half-decade or so, he'll be choked to death with a bicycle lock in Jesse's aunt's basement. Everyone's favorite weapons dealer sells Walt the gun he uses to mow down a whole lotta neo-Nazis. He also turned up on "Better Call Saul" to offer several rifles to Mike... though, to Lawson's surprise, Mike took a pass. We all know how she takes her tea by now, which would ultimately be Lydia's demise. During the "Breaking Bad" days, Lydia tried to get Mike to kill a laundry list of Gus Fring's associates. When he refuses, she tries to have Mike killed. Bad move. Lydia and Mike first meet in "Better Call Saul," when Gus sets him up with a paycheck at her Madrigal Electromotive. They don't get off to a great start. A very svelte-looking Huell (Crawford lost 130 pounds since the end of “Breaking Bad”) pops up in the fifth episode of season 3, “Chicanery,” inadvertently bumping into Chuck during a recess during Jimmy’s bar hearing. In a gut-punching reveal, we find out that Jimmy hired Huell to plant a fully-charged battery on Chuck, which reveals his illness to be in his head and helps Jimmy avoid getting barred forever for practicing law. Hey wait a minute, didn’t we see Huell do that move before…? "The Winking Greek" was the boss of the Juarez Cartel -- that is, until he took a shot of Gus Fring's Zafiro Añejo tequila during the "Breaking Bad" days. Back during the "Better Call Saul" timeline, Eladio was a total jerk to Hector, who years later was used as a prop to take out Fring. Before she was Saul Goodman’s personal secretary, Francesca served as the receptionist for Wexler McGill. She unfortunately gets laid off when Jimmy and Kim decide to sublet the office during Jimmy’s enforced year-long sabbatical from legal work. Jimmy promises to hire her back when he can practice law again, and we all know how that turns out. We’ll find out in “Breaking Bad” that those “better things” aren’t really all that better. Honestly? 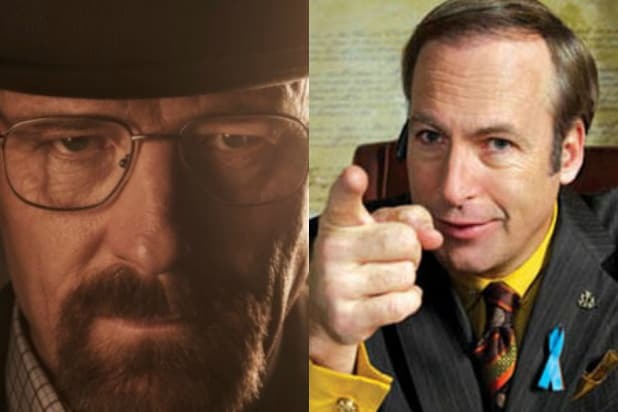 We're most worried about people who turn up on "Better Call Saul" but not "Breaking Bad." Does that mean they went straight and avoided grim "Breaking Bad" fates? Or that they didn't survive "Better Call Saul"? Kim Wexler, let us know you're okay.